About Da'Vgion is a full service music publishing, event planning, staffing ,talent management and booking agency. .
To cater to music promoters,develop, promote and book talented individuals. Launched in Owings Mills, Maryland in 2014. Da'Vgion is a full service music publishing, event planning, staffing talent management and booking agency. We specialize in the complete development and management of Recording Artistes. Da'Vgion also write songs, publishes music and serves as a safe haven and like-minded community for gifted songwriters. While creating and collecting publishing revenues for its songwriters. 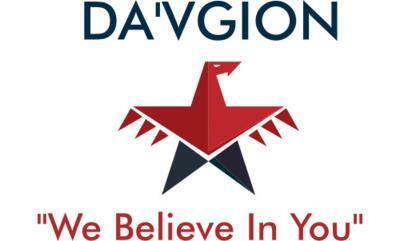 Da'Vgion's has a hands on approach in guiding and counseling developing artists in all facets of their careers in music, from management support to publicity, to label shopping and overall business guidance. Da'Vgion hand picks each of the talents we choose to work with, from the distinct eyes of our development team. We pride our self on the fact that as a team there in that we all have to agree on any talent we choose to work with. After an artist goes under contract, provide them with the resources to grow and ensure a long and prosperous career within the entertainment industry. We exemplify creativity, honesty, loyalty, and professionalism. Da'Vgion, will let every client feel like they are our only client, because each client is a unique and gifted individual.